With very limited online payment processing facilitates in third world countries specially in Pakistan and Bangladesh we have to find some other sources through which we can accept payments from other countries of the world. Paypal in Pakistan looks impossible and that’s why we have to use Alertpay which is a nice online payment processor. Majority of people in Pakistan and Bangladesh use Alertpay for payment options and they don’t even know about Payoneer. In recent times Alertpay has taken some strong steps and now they are only allowing payment withdraw from their own Alertpay Prepaid Visa Debit Card. So today we look at how to get Payoneer Prepaid MasterCard, its Fees and some tips on how to use it. Payoneer is a registered online payment merchant company which provide its own Prepaid MasterCard when you apply for an account via some partner websites of Payoneer. They only act as a middle man between you and your customers/buyers. For payment processing they have start partnership with Choice Bank Limited USA and its the Choice Bank Limited which will issue you MasterCard. 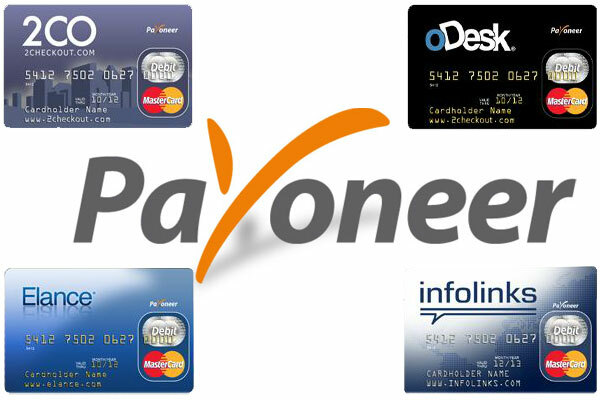 What is Payoneer Prepaid MasterCard. When you open an account via partner websites of Payoneer they will give you a Prepaid MasterCard so that you can send or receive payments. The card works just like any other Visa/MasterCard you have in Pakistan. You can use it any where in the world on Mnet ATM machines only. How to Get Payoneer Prepaid MasterCard. Now the most important question how we can get this card. There are lots of partner websites where you can open your account free, earn some money and than you can order this card in order to withdraw money. Here are some of these websites. Payoneer will charge initial one time card fee of 15-35 dollars depending upon your country. You don’t have to pay this amount from your pocket because they will detect money from your account. Here are some other transaction fees you have to pay. How to Accept Credit Card payments via Payoneer Prepaid MasterCard. After you have card in your hands its easy to receive payments from any Credit Card Holder. Just ask your customer to go to the official Payoneer.com website and click on Load Money to Card link. After that it will display a mini form. Tell him your email address attached to your card. When he will enter your email address your card will automatically loads up. All he have to do is to enter the amount and check whether he or you will pay the transaction fee. After clicking of Continue button he will give the option to pay via any Visa or Mastercard. When he will enter his card info money will be transferred into your Payoneer Prepaid MasterCard within 2 business days. Some Tips for Using Payoneer Prepaid MasterCard. Never check your account balance from ATM machine as you have to pay $1 of for it. You can check your balance online too. Never withdraw all amount from your card because Payoneer will have to detect service charges from your account and if your card has no money then they will block your card. ATM in Pakistan which accepts Payoneer Prepaid MasterCard. I personally use this card on Muslim Commercial Bank ATM but you can also use it on HSBC bank ATM also. All other banks ATM are not accepting this card.